Amiera Sawas, a PhD researcher from King’s College London, reflects on her experience of working with flood affected communities in Sindh province in Pakistan. Sindh, a province in the South of Pakistan is suffering multiple effects of climate change. The IPCC Special Report on managing the risks of extreme climate events (SREX) (2012) highlighted the growing tendency for climate-change induced disasters. Sindh has suffered droughts, floods and cyclones on many occasions in the last ten years, and they are becoming more frequent. Floods have a painful significance in recent years, with devastating occurrences in both 2010 and 2011. Just as communities were in early recovery from the floods of 2010, monsoon rains persisted in July to mid-September 2011, causing 434 deaths in the province with 8.9 million people affected, fleeing to the roadsides, or waiting for army and NGO boats to save them from their remote villages. When the flooding subsided, after 2 months in relief camps, internally displaced Sindhi’s returned home to find that 1.52 million of their homes were severely damaged and livelihoods based on livestock and agriculture could not be saved. “The rains came in the middle of the night, whilst most people were sleeping. When we woke up, there was water of about 2-3 feet and we did not know how to escape, because our village is far from the main road. The water was very dirty because the floods had damaged our (sanitation and water) facilities. I was very pregnant at the time, and our livestock are our livelihood so we didn’t want to leave them to die, so we did not know what to do. We were rescued in boats by the army and NGOs. We are thankful to be alive, but we lost our livestock and now we are trying to rebuild our livelihood by starting from the beginning”. I have spent the last two months with Sindhi communities, and by far their biggest concern is that that the Pakistan Meteorological Department has warned of even worse monsoon rainfall this year, and thus predicts another flood for Sindh. And whilst the National Disaster Management Authority (NDMA) has produced a disaster risk reduction (DRR) plan for Pakistan, in which responsibility has been devolved to provincial and district disaster management authorities, this policy is in its infancy. 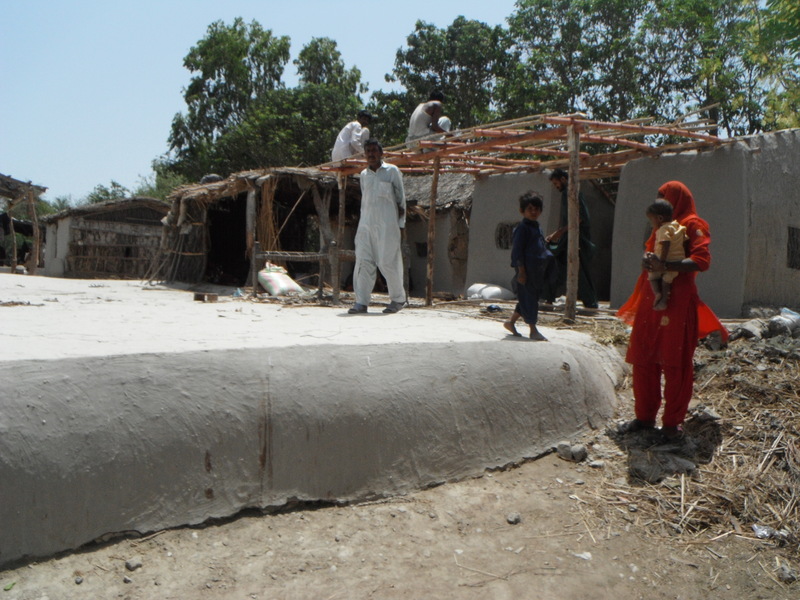 A CDKN project with officials in another flood affected province, Punjab, and the support CDKN is providing to the NDMA to design a risk insurance programme, is helping to strengthen the institutional capacity. However, this process takes time, and the results will likely not benefit those fearful of this year’s floods. As a result local communities are not relying on government support alone this summer: with the advice of local NGOs, they are working quickly to disaster-proof their villages themselves. I have met with many fantastic local organisations and seen the hard work that is taking place in preparation for the floods. In particular, the Laar Humanitarian and Development Programme (LHDP), has shown me that any intervention directed at the community level needs to be led by the community itself. 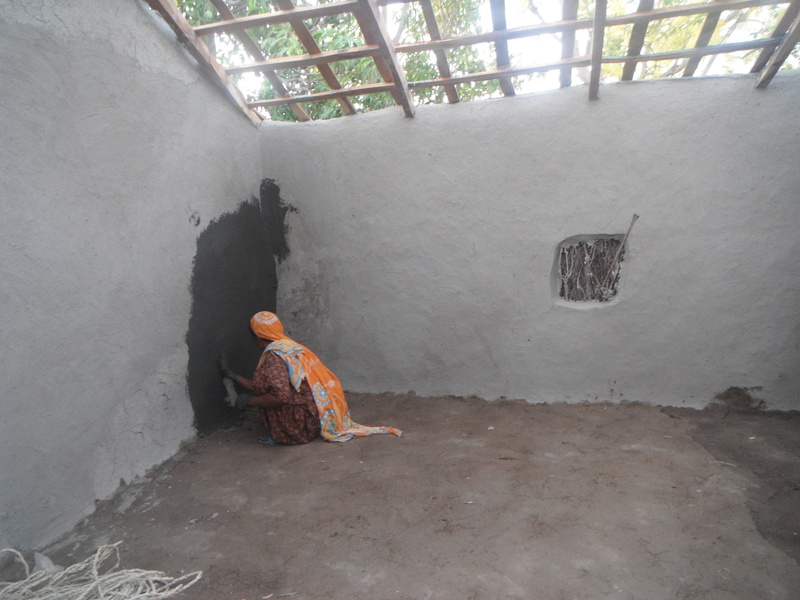 LHDP and other local organisations are advising communities on how to transform their homes from ‘katcha’ (semi-permanent housing) to ‘pukka’ (permanent, stable housing) structures, using local, cheap materials. This also included building homes on raised platforms, made from livestock faeces and straw. I visited many villages, where the women and men were rushing to finish their new homes before the rains come. They told me that previously they saw flood-proofed homes as an unachievable dream. One of the most dangerous impacts of flooding is the damage to non-permanent latrines (which are used by the majority in rural Sindh – if anything is used at all), leading to contamination of the flood and drinking water. This is particularly dangerous for children, who as a result, suffer serious gastro and diarrheal diseases, in a time where access to a doctor is limited. 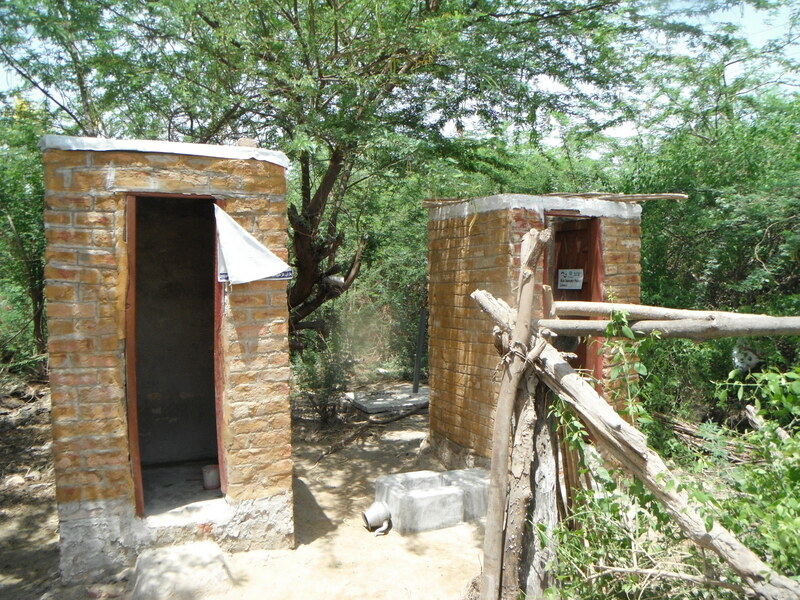 Now, with a small amount of support from NGOs, communities are building permanent, flood-proof latrine structures, out of local materials that are accessible either for free, or in local market stalls. One of the biggest problems for communities at a time of disaster, is knowing what to do first. In the past, many people lost their livestock, which is vital to their livelihoods, while trying to save themselves and their children. LHDP and others have been engaging communities and assigning clear roles and responsibilities to individuals and groups through using interactive theatre. Performing powerful and relatable scenarios, they negotiate and assign roles to men, women and children, which take into account the holistic safety needs of the village. Poor and vulnerable people are not helpless in the face of disasters. Seeing these communities actively confront the immense climate change challenges facing them was quite an inspiration, a challenge they often take on with pride. This highlighted for me, more than ever, that there are multiple roles to be played in mitigating the impacts of climate change. While a National DRR plan is essential, communities are, and strive to be, actively engaged in preparing themselves for disasters to come; they just need some practical and affordable DRR advice, a role that can be played by government or civil society actors. Amiera Sawas is a PhD researcher from King’s College London, focusing on water, sanitation and hygiene in flood-affected communities in Pakistan. Images courtesy of Amiera Sawas.